Brightest glow with extended glow in the dark duration. Light absorption and release processes of GloPoxy can be repeated endlessly. Any light source will charge GloPoxy. Low Odor, No VOC’s, Non Toxic. 100% solids content for increased build UV stable, durable, chemical, water and abrasion resistant for indoor & outdoor. Produces an exceptionally tenacious etching bond for high adhesion. Excellent hardness and wear resistance Self-leveling finish. 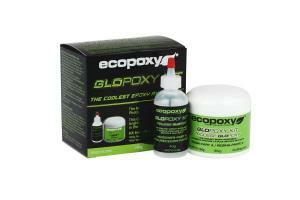 GloPoxy is recognized for safety applications in complete darkness or emergency lighting conditions. It absorbs bright light as energy. When placed in the dark it releases that energy in the form of bright light and glows in dark for hours. Safety depends upon occupants being able to evacuate dark interior spaces with markings for floor level, directional exit pathways, landings, stairs, handrails, and emergency exits. It contains no fillers or impurities which can interfere with glow. It is UV stable, durable, chemical, water and abrasion resistant for indoor and outdoor use. It adheres well to a wide range of surfaces including plaster, metal, wood, plastic, composites, masonry, concrete and fabric. 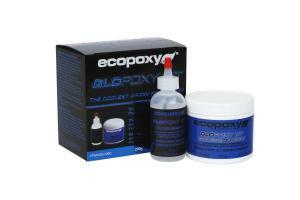 GloPoxy can be applied by brushing, rolling or spraying.